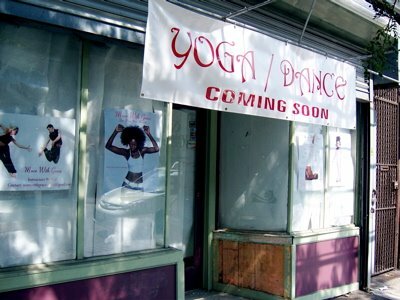 Signs are up in a Myrtle Avenue storefront window across from Polish Bar announcing a new yoga and dance studio called Move with Grace. Turns out Grace is is the name of the owner, AND she's the sister of Karen Tappin of Karen's Body Beautiful just down the street. Currently, Grace is renovating the interior space, and plans for an October opening. She's also lining up the class schedule, which for now includes jazz, hip hop, yoga and meditation. For those of you who don't know me personally, yours truly has been tap dancing for 22 years, and may add a tap class to her busy schedule at Move With Grace. Grace is still looking for instructors to round out the schedule! Interested? 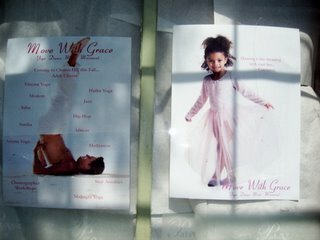 Email movewithgracestudio@gmail.com. Lesterhead is so very excited!